An elegant way to thank family and friends for being a part of your child's special day. 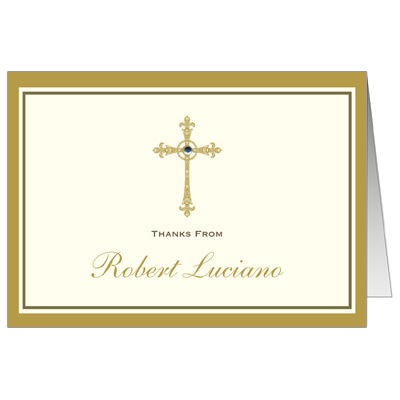 This ecru note card features a gold filigree cross, embellished with a sparkling jewel. Comes with matching ecru envelopes. Assembly is required.